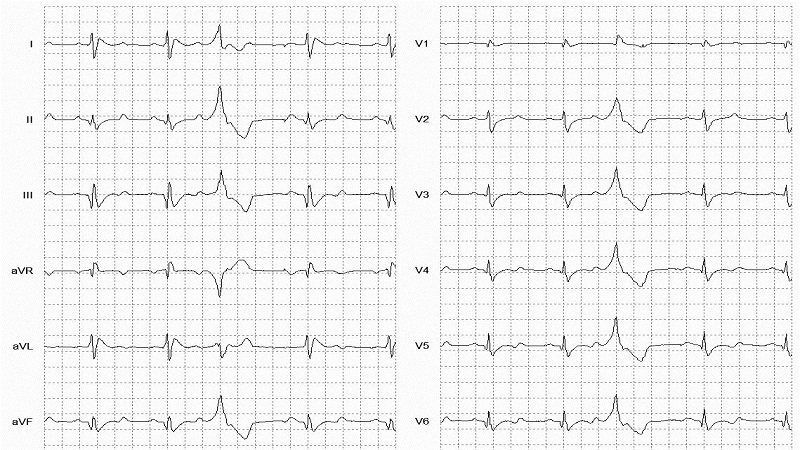 Ventricular Ectopic Beats originating from the left ventricle have a right bundle branch block morphology (dominant R wave in V1). Isolated VEB (RBB Morphology. See V1 in 12 Lead) Note Artial Paced Beat following VEB.